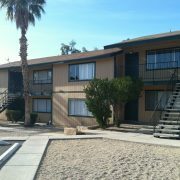 (Phoenix – December 27, 2012) – Vestis Group is pleased to announce that Principals Natan Jacobs and Les Litwin have completed the sale of Tahiti Palms Apartments, a 27-unit multifamily property, located at 2940 N. 40th Street in Phoenix, Arizona, for $1,365,000 / $50,556 per unit. 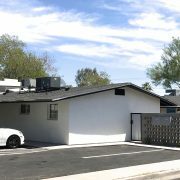 Six individual owners of condo conversion units sold the Tahiti Palms Apartments in Phoenix to Edward Hagey of San Diego, California for $1.365 million. Natan Jacobs and Les Litwin of Vestis Group represented the Sellers in negotiating the sale of this 27-unit multifamily property. 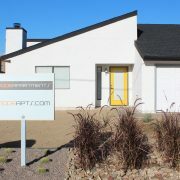 The new owner will revert back to conventional apartments. 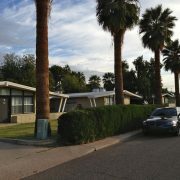 Tahiti Palms, a 27 unit, garden-style condominium community located in east central Phoenix. Built in 1963, Tahiti Palms has a pitched, composition roof and concrete-block construction, single-level buildings. All the units have spacious kitchens and large closets. Common area amenities include a swimming pool, covered parking and laundry facilities. 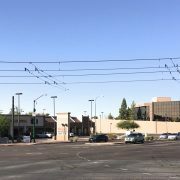 Tahiti Palms enjoys a superior East Central Phoenix location referred to as the Arcadia area near numerous Valley hotspots, including: The Vig, La Grande Orange, Postino’ s Wine Bar, North Arcadia and Chelsea’ s Kitchen. 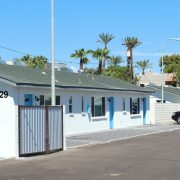 The property is located in a quiet residential neighborhood one half mile south of the Indian School road along 40th Street allowing easy access to the Biltmore area, the Camelback Corridor, Downtown Phoenix, Sky Harbor International Airport, the valley freeway system and numerous employers.